Nowadays it is possible for different companies to conduct business remotely through order forms rather than have customers come in to place orders. If that is your method of conducting business, then you can make use of blank order form templates to make your forms. 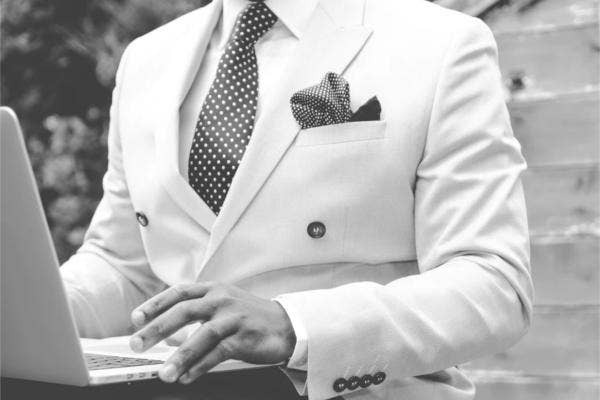 This is particularly true of businesses like clothiers since you can indeed give your customers the option of placing orders and simply have clothes delivered to them later. 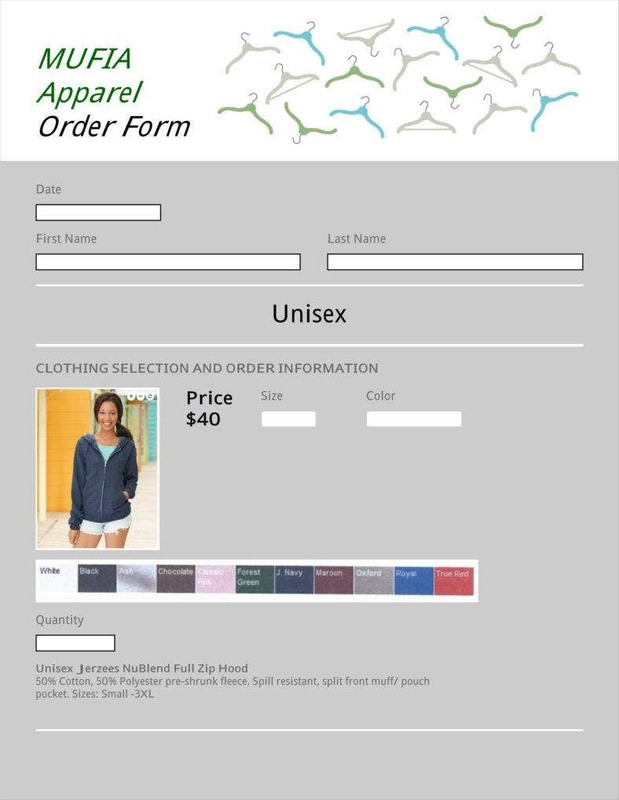 Using apparel order forms can be an especially effective method in spite of disadvantages like the inability of customers to try out clothes before receiving them. After all, these forms can save customers the trouble of actually going out to get clothes. Besides which, it is possible to order in bulk so that customers can buy as many as they like for distribution and retail. If you wanted to know more about how to use apparel order forms well, then you may want to know about certain insights that can help you in that respect. 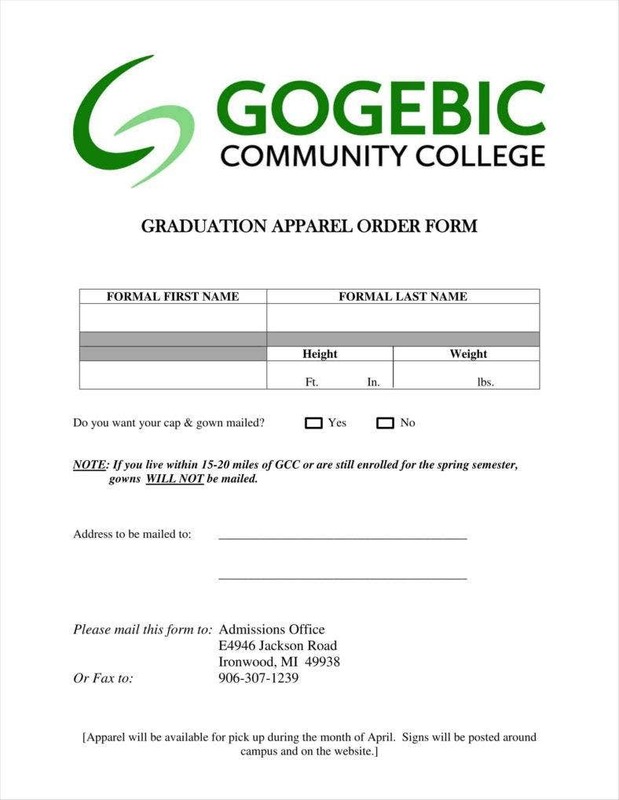 Who Can Use Apparel Order Forms? You might be aware that there are a number of potential users of order forms like these, aside from businesses with a particular need to sell their products. 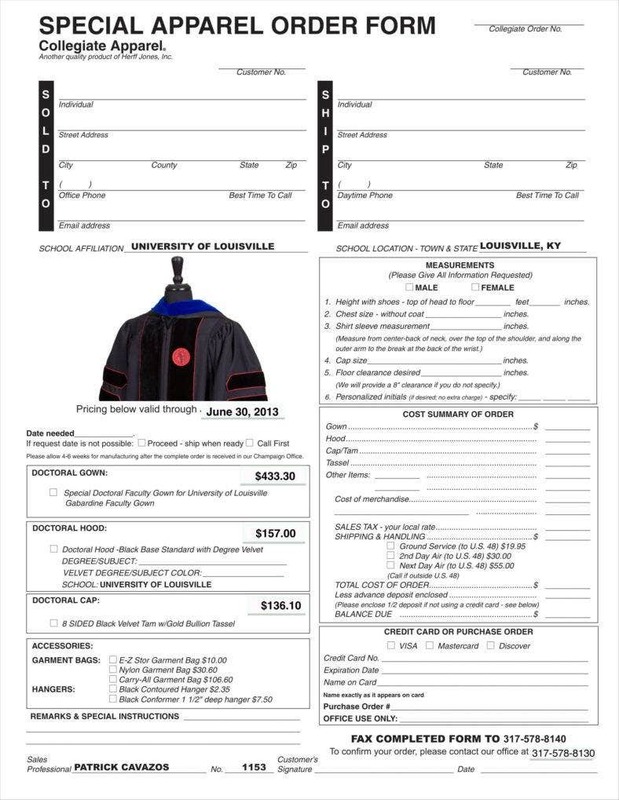 After all, you might have seen similar apparel order forms used in a variety of places before. With that in mind, it may not be too surprising to know that there are so many possible users of such order forms. 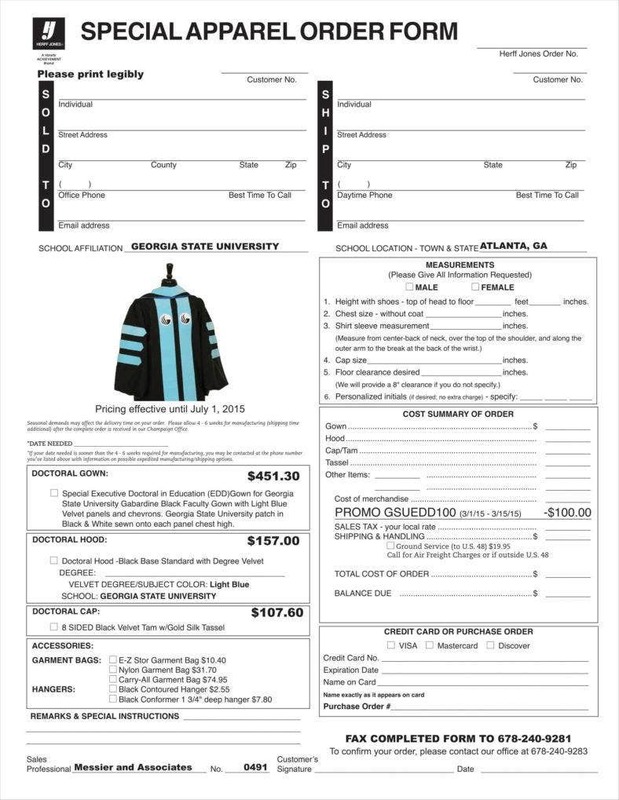 It is more than possible for schools of all places to make use of different apparel order form templates like T-shirt order form templates. 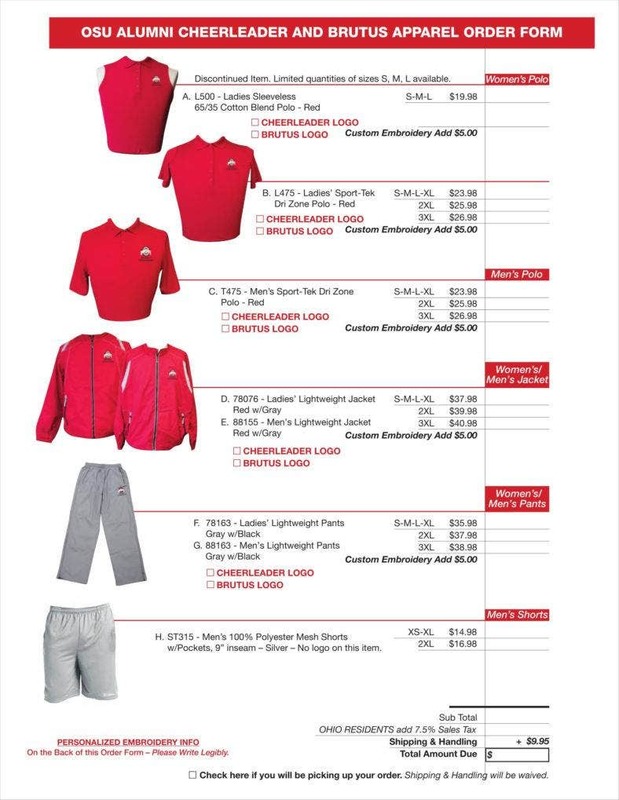 You may have noticed that your school sold its own apparel featuring the school’s colors and logos in the name of allowing students to integrate into the school. Official school apparel can help give students a stronger connection with the school, after all. 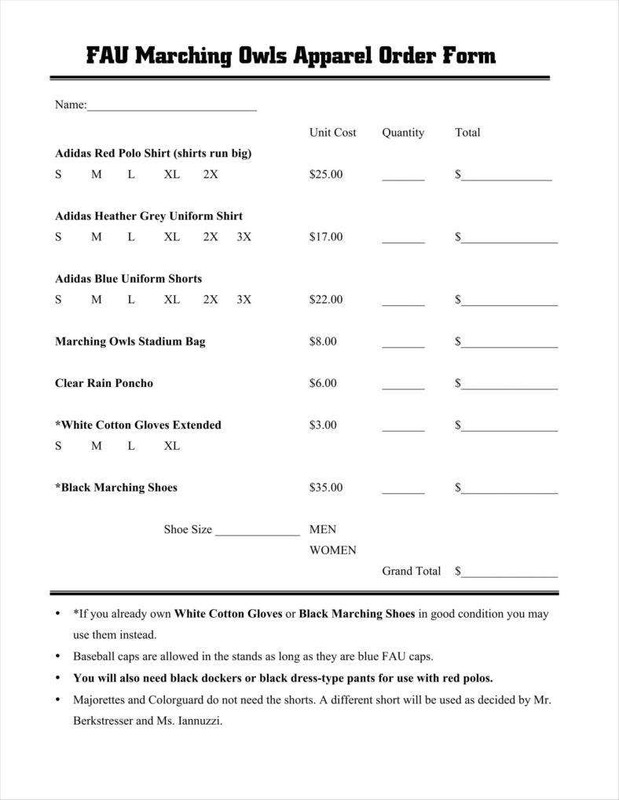 In the event that students might want their own clothes to show solidarity with their school, you might want to use apparel order forms in order to make it easier for students to place specific orders. 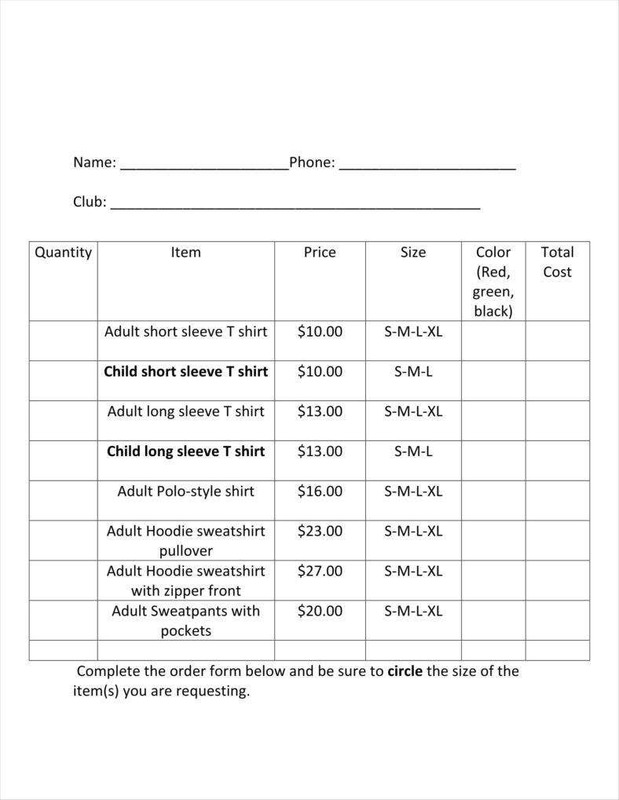 Another entity that might want to make use of apparel order forms is a club. 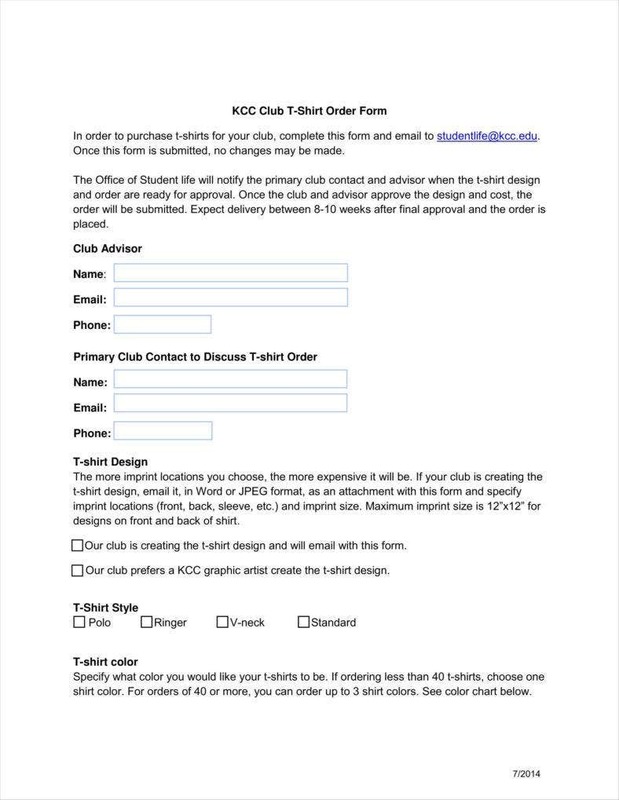 After all, clubs are fairly exclusive organizations who may see a need for order forms like free T-shirt order forms. These products can help to reinforce the exclusivity of the club and promote solidarity among club members, hence the need to keep their own apparel order forms. 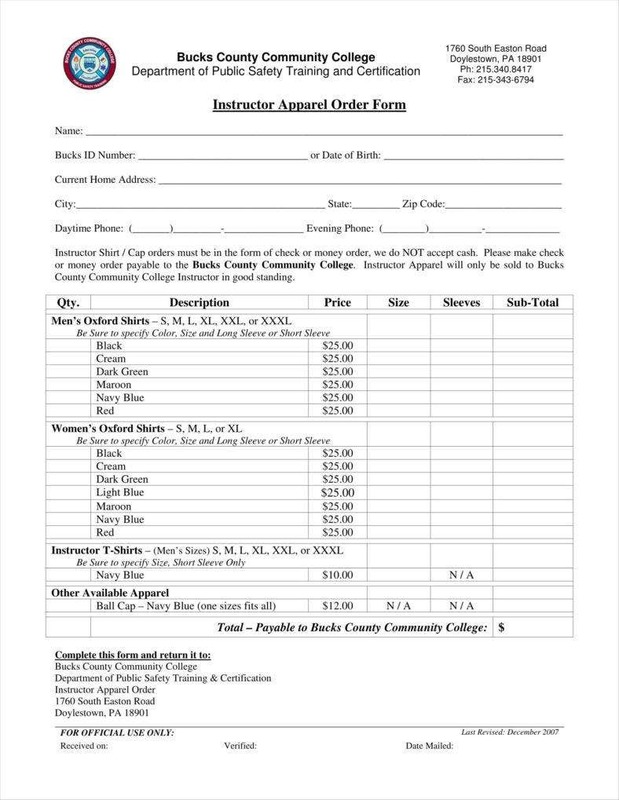 These forms can also be used for practical purposes such as fundraising as the act of selling apparel and other products can generate revenue for the club’s use. And if a particular club’s entire purpose is for charity, then using the forms to facilitate business would be a wise move. Perhaps the most obvious users of tools like purchase order forms would be businesses themselves. After all, it would only be sensible for businesses to offer their customer base conveniences like ordering remotely. This would make it easier for customers who live some distance from the business in question so that they too can have the opportunity to patronize the company. This can also be to the company’s benefit as they can also cast their nets wider so as to reach a wider number of customers than if they limited themselves only to those customers who did business with them personally. Companies may also have their own order form templates that they can use to bolster camaraderie among their workers. Similar to the example of schools, companies may also wish to foster a sense of belonging among their employees, hence why they might want to give their personnel a chance to place orders for company apparel. After all, this can be a prudent move to foster a greater sense of company loyalty among a given company’s employees, however indirectly, to say nothing of the potential indirect marketing allowing one’s employees to wear company apparel in public. With that in mind, a company should definitely give some thought to the idea of using apparel order forms for employees. Another thing to know about making sure to make the most of any order form Excel templates you use is what components to include in the resulting forms. You would do well to stay aware of the elements you need for your forms to be able to do their jobs properly. After all, any given apparel order form would need to have these general elements in place for it to fulfill the purposes you want it to. All order forms always include the prices of the products they are selling in order to let customers calculate the total cost of all the things they are buying at that particular time. This is just as applicable to apparel order forms, especially if yours happen to offer a wide selection of clothes. After all, your clients would benefit from a way of tallying the total cost so that they could find out how much they are spending on a given transaction. Besides that, it is arguably your responsibility to list exactly how much any item costs in order to help customers make their minds up. You would also need to include space for your clients to list the quantities of the items they would want to buy. This is necessary on your part as well since you would need to know exactly how many items your customers are ordering in order to cater to those needs. This is an especially important element to include even if you are only offering one item as you would still need to know exactly how many of that item you need to supply for a given transaction. Another aspect of knowing exact quantities is that you need to calculate the price of a given item vis-à-vis the quantity ordered in order to charge your customers properly. 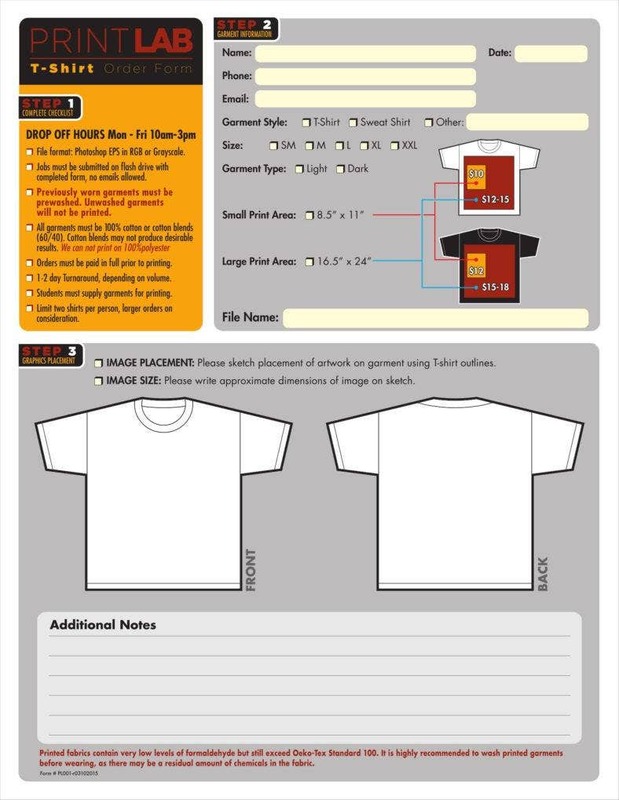 One specific element that you always need to include on T-shirt order forms and other kinds of apparel forms is the size. After all, people would be interested in buying clothes in their sizes in order to ensure that they can find something that fits. This is definitely a necessary element to include as clothes’ sizes do give them an element of individuality for specific customers. With that in mind, it is no surprise that you would need to include this in order to be sure of meeting the specific needs of all your customers. In the case, you might have to consider the gender of your customers in your order form templates. After all, some clothes are made for specific genders. In that case, it might be wise to organize your items according to gender in order to make it easier for your customers to find specific items that apply to them. If necessary, you might also have to include unisex clothes in the event that you supply those just to make it more convenient for your customers to find any clothes. Colors are also a factor to consider in fashion order forms. After all, clothes can come in several different colors and your customers are likely to choose colors that appeal to their tastes. In any case, it would be a prudent move to include colors for the items you have for your customers to choose from so that they could make choices more in line with their tastes. Of course, you might not offer a choice of colors as you might have a fixed design so that customers can only choose sizes. But if you offer the choice, then you should take care to include colors for the sake of convenience if nothing else. 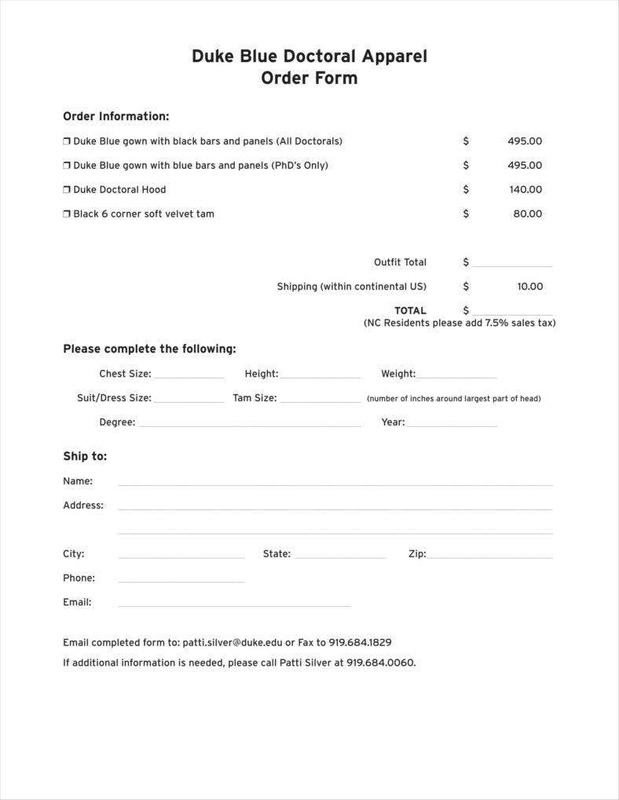 Another thing to consider when making apparel order forms is the fact that you would have to include details for the detail-minded customers. This includes things like the fabric of your apparel, as well as washing details if those are relevant. There can be a practical element to this information as this can inform any customers who might have allergies, or inform your customers of how best to take care of the apparel they end up buying. Like any other kind of sample order form, it would be wise for you to include the shipping details so that your customers can easily specify where you need to have their purchases sent. As an order, the customers do expect to have the items delivered after a certain period of time, so you should take care to include this information to make it all the easier to deliver the purchases in a timely and efficient manner. This is particularly true of any case where the delivery address is not the same as the home address. For your own benefit, you should also take the time to include payment methods in the sample sales orders you do use as templates. After all, this is precisely what would enable your clients to pay you for the purchases they do order. This can also be for the benefit of your customers as you can state very precise methods for payment. If your customers cannot comply with the payment, then this can save all of you unnecessary complications as customers may not try buying when they are not prepared to do so. With these insights you should have a more complete idea of what needs to be done in order to make your apparel order forms work well for you, which should be something to consider if you ever decide to use any yourself.